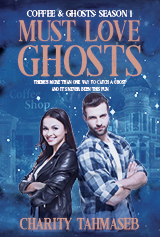 So on Monday, a huge package from Simon and Schuster landed on our doorstep. Inside we found page proofs for The Geek Girl’s Guide to Cheerleading. That’s right. The manuscript looks like an actual book. Well, an actual book if you printed on huge sheets of paper, landscape, two book pages per sheet. Each chapter heading is at a jaunty angle and in the “cheerleader” font (I’m sure it’s not technically called the cheerleader font, but whatever). 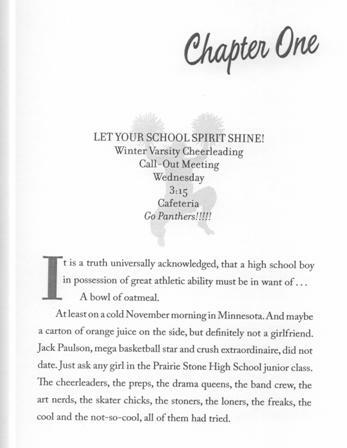 Each of our chapters begins with a little excerpt “written” by the cheerleader coach and on each they’ve added a different silhouette of a cheerleader. Okay, how cute is that? So now we read, looking for typos, things that were missed, and so on. And even as we inch closer to July, it still all seems a little surreal.